In 2017, Friends of Glass will send the recipe of glass to the moon! 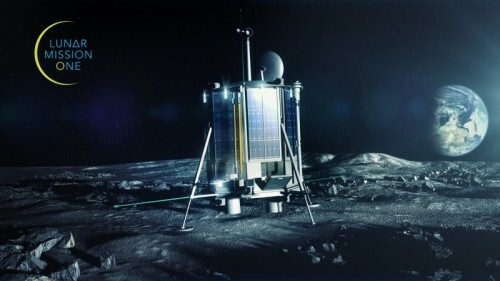 Friends of Glass, an influential community movement that encourages Europeans to look beyond the label and choose glass packaging, is working with Lunar Mission One to send the recipe of the precious material to the moon on the Astrobotic Lander in a bid to preserve it for generations to come. The benefits of glass packaging for health, taste, and quality are endless and, safe to say, timeless. Glass as a packaging material has been used since 1,200 B.C. and has taken man through the ages. Now, the recipe for glass will join man on to the next frontier, space. Lunar Mission One has recently launched an ambitious new campaign ‘Footsteps on the Moon’ which aims to put a digital archive containing millions of human footprints on the Moon in 2017. Inspired by Buzz Aldrin’s iconic boot print image, ‘Footsteps on the Moon’ is an opportunity for everyone in the world to upload a picture of their own – or someone they love’s – footprints, and store it on the Moon for millions of years. Simply take a photo, and upload it for free here: www.lunarmissionone.com/footsteps. “The moon belongs to everyone, and every single one of us has the right to make our mark on its surface – digitally of course” said David Iron, Founder of Lunar Mission One. “By sending glass to the moon, we are preserving a fundamental piece of human history that has been in use for millennia,” added Michael Delle Selve, Senior Communications Manager for FEVE. Learn more about Friends of Glass at www.friendsofglass.com and Lunar Mission One at www.lunarmissionone.com. Lunar Mission One, initially funded by a highly successful Kickstarter campaign in 2014 has now completed its preparatory phase. As a result, it now has the teams in place to set up the mission, which will land at the as-yet unexplored Lunar South Pole in 2024. The payload will consist of scientific experiments including a rig capable of drilling up to 100m into the Moon’s surface to enable analysis of the Lunar geology on a scale never attempted before.